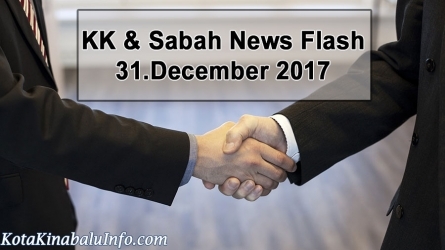 Kota Kinabalu or more popularly called ‘KK’, is not a very big town, so it can be very well explored and covered even by foot, and sightseeing in Kota Kinabalu is something which should not be missed, even on a business trip. 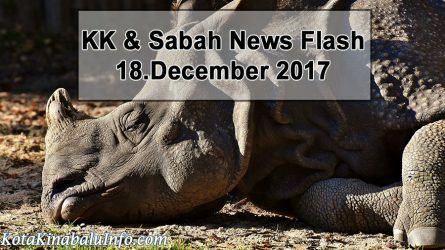 Being the capital of state Sabah, it is a popular tourist getaway and a well sought-after destination for visitors coming to Sabah and Borneo. This place has something for every age and caters to interests of tourists of all types, from adventure lovers to history seekers or nature lovers to sports freaks. Named in the honor of the first Prime Minister of Malaysia, Tunku Abdul Rahman , the five islands of Gaya, Sapi, Manukan, Sulug, and Mamutik, located off the coast of the city, are preserved which serve as a major recreational spot both for tourists and the locals. 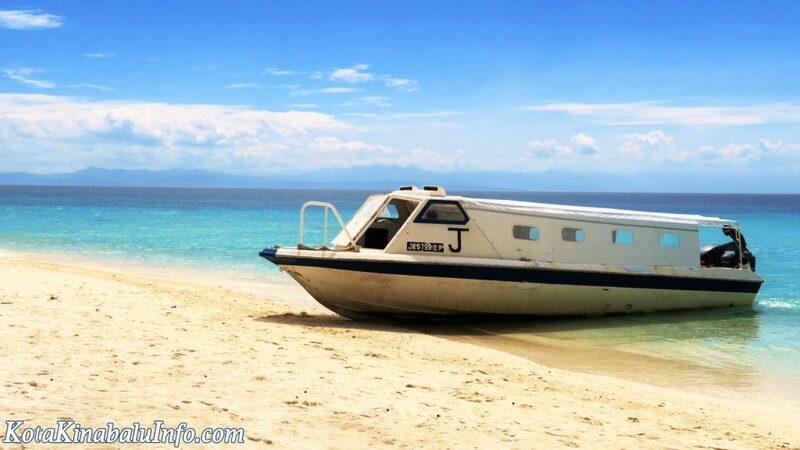 All the islands are well connected by boats which can be used to hop on and off on them. 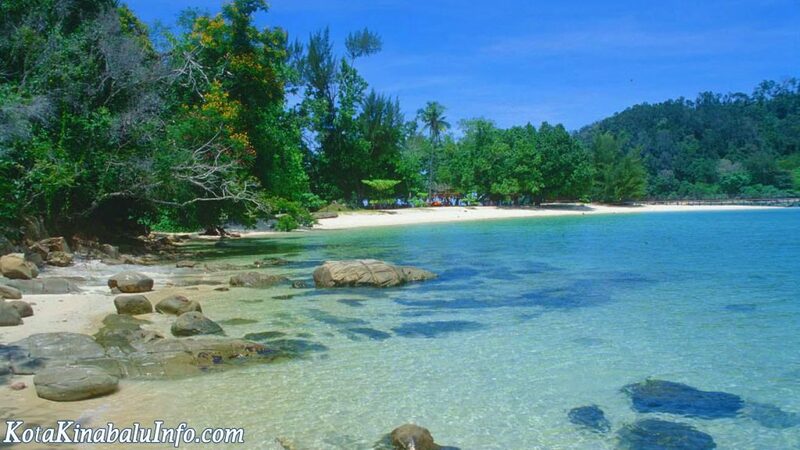 The white sandy beaches with crystal clear water beautify to the sight. These islands are popular spots for beach activities such as snorkeling, swimming, parasailing, kayaking and more. 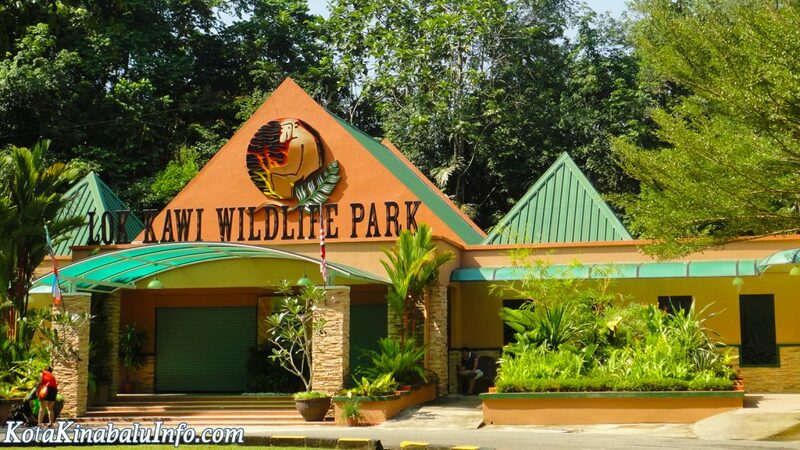 Also known as The Sabah Zoological and Botanical Park, this 280 acre park in Lok Kawi is the largest zoo in Malaysia. This is a must see place if one is travelling with the kids. 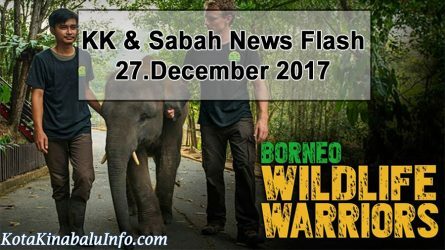 It’s a home to a diverse variety of local as well as international inhabitants like Borneo Pygmy elephants, Malaya Tigers, Proboscis monkeys, deers, Asian black beers, rare species of reptiles and more. This wild life park also has a botanical garden with weird tropical trees and flowers. Also there are various animal shows at different times the whole day in the park. Situated in remote forest area of Inanam, away from the hustle bustle of the city is a not-to-be-missed tourist attraction of KK- the Mari Mari Cultural Village. This cultural village is sort of museum which showcases and preserves the ethnic tribal culture of Borneo. The village has something interesting for everyone in the family . The Sabah Art Gallery is a feast for art lovers, in Kota Kinabalu. The museum is situated on a 1.7 hectare land of Sabah Art Gallery Conservation Centre. The museum exhibits the decorative cultural motif panels of the indigenous people of Sabah. The new building has two different gallery spaces in it to showcase art of different themes. 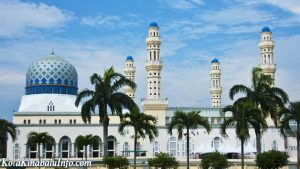 Often also known by the name of ‘The Floating Mosque’, the City Mosque is one of the most prominent attractions and the largest mosque of KK. City mosque is a colossal masjid which is capable of capacitating as many as 12000 worshipers at a time. The City Mosque is the second most important mosque of KK. This is the main museum of Sabah. 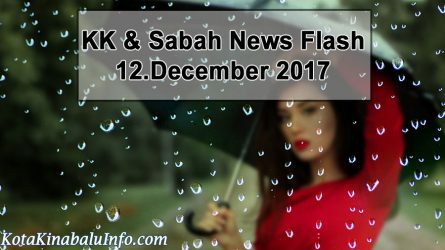 Within the proximity of Sabah State Museum are the Science and Technology Centre, the Heritage Village, Ethno-Botanical Garden and the Sabah Islamic Civilization Museum. 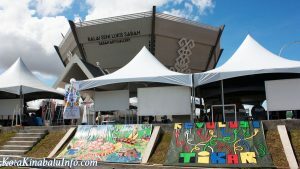 There are a number of galleries inside displaying the rich, vibrant and diverse culture of Sabah. It’s loaded, loud and sultry, but still the best place to be at while in KK during a weekend. What can be a better way to start a Sunday morning than shopping in a market where you can buy almost anything and everything? 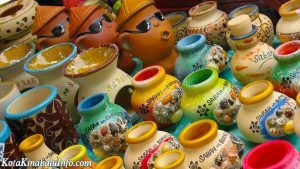 Gaya Street Market is the best place to spend the weekend morning. The most romantic place around KK which is also perhaps one of the best place on the planet to gaze the setting sun. A clean, serene and soft sandy beach which is quite close to the hearts of locals too. 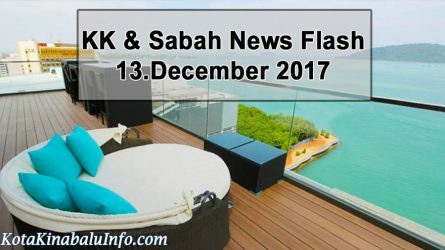 Many flocking to Tanjung Aru Beach during weekends and holidays to enjoy the beautiful place and some quality time with their loved ones. Built in 1905 by Mary Edith Atkinson, in memory of her son, Francis George Atkinson is situated near Bandaran Berjaya. 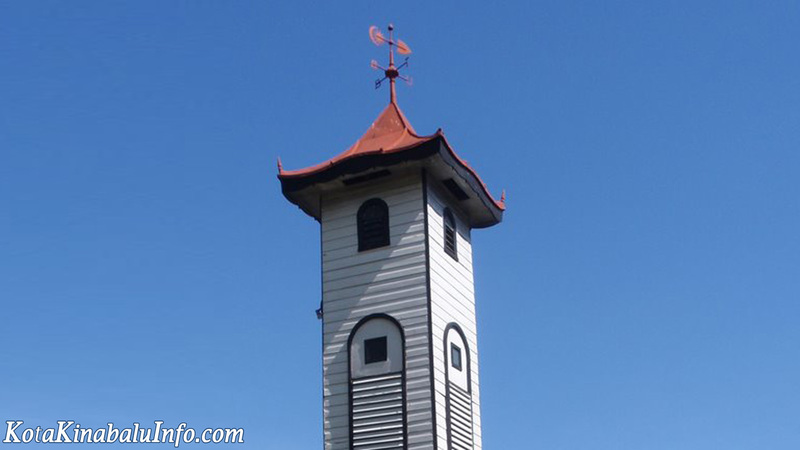 This clock tower has witnessed WWII destruction and is one of three buildings to survive the same, despite being made up of all wood and without any nails which is a fine architectural gimmick. There are many more tourist spots in KK. Sightseeing can fill certainly a couple of days without getting boring. Another of this spots you might not want to miss is the Sabah State Mosque, located in Sembulan. 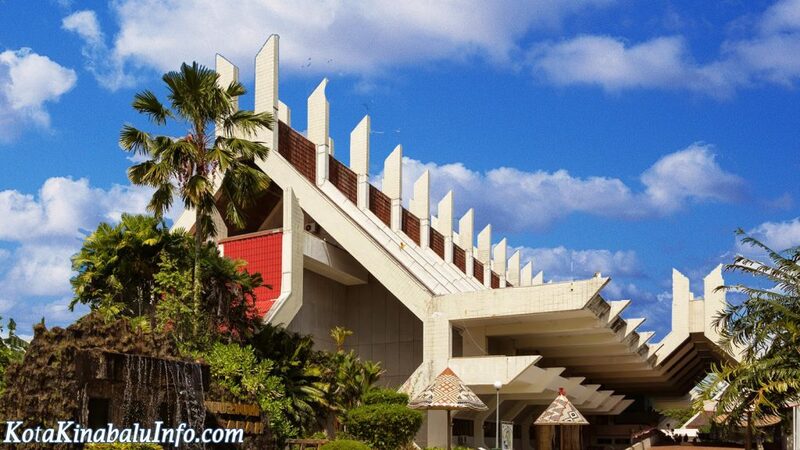 The beautiful building is the main mosque of Kota Kinabalu. If you need a quick escape form the city, head out to the Kinabalu National Park. This destination can be reached in just a two hour drive from the city centre and has Mount Kinabalu inside after which the city is named.